It is important to take the time to establish the legal symbol requirements for the market(s) in which your brand is sold. We have prepared a snapshot overview for you in this section. Consumers are increasingly concerned about the impact of packaging on the environment. 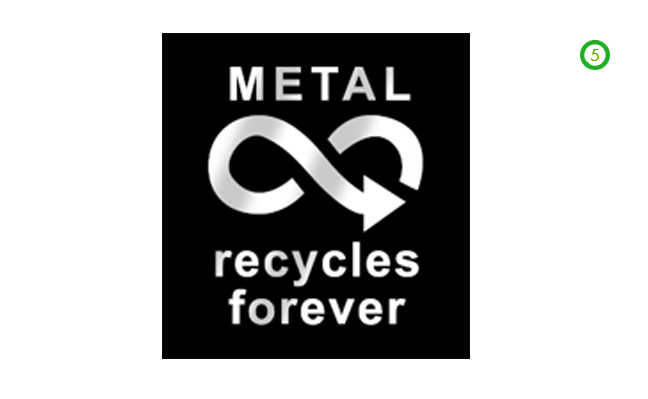 Metal packaging is low carbon and a resource efficient solution as it can be infinitely recycled and reaches a high recycling rate in Europe. 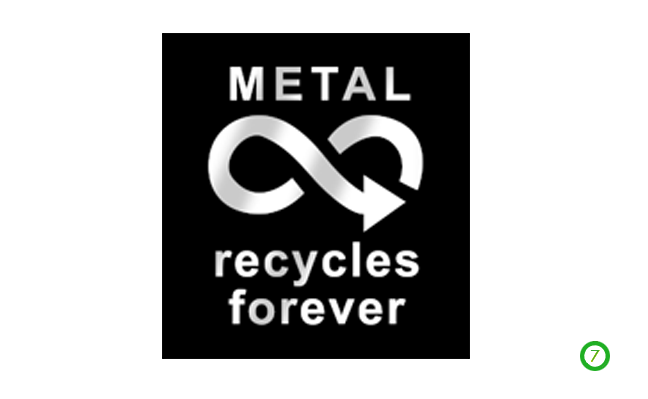 Last year Metal Packaging Europe together with all can makers in Europe have introduced the new Recycling Mark to send out one message to the world: Metal Packaging can be infinitely recycled. The Mark is subject to a set of guidelines which should be adhered to for the correct use of the symbol. 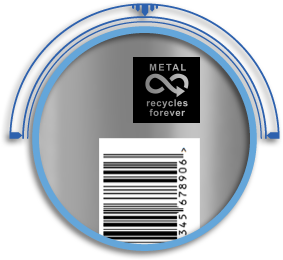 The Mark is available in many different language versions which are available to download directly from the Metal Packaging Europe website in EPS format. Many of our customers have started to use the Mark. 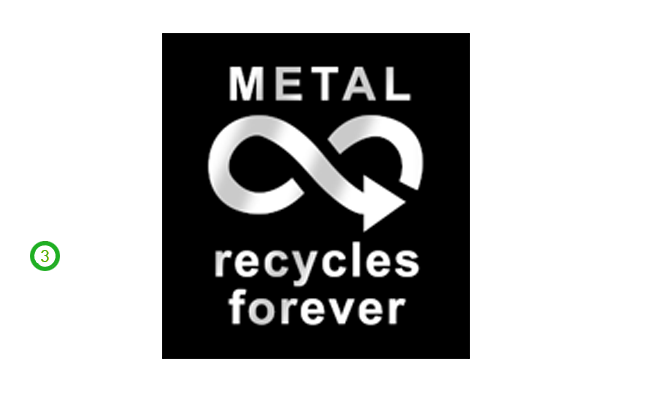 Are you our next customer to help spread the word on the infinite recyclability of the Can your product is consumed from? Symbols - is it legal? Certain markets have specific legal requirements for the use of symbols. 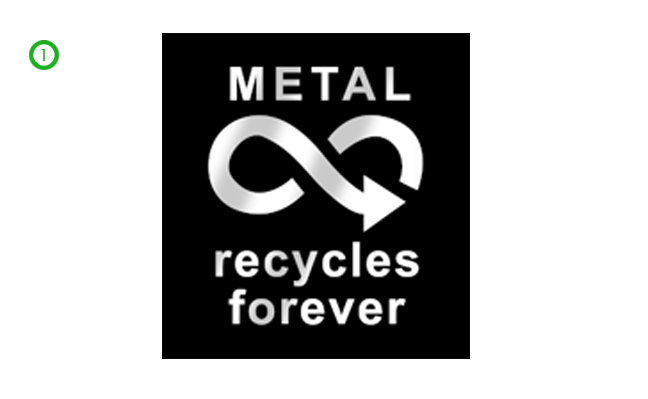 For example to place your brand in the German market you have to register with the German pfand organisation and use a DPG recycling symbol on your design. Click on the country flag to view the specific requirements for that country. Before submitting your design to Ball, we strongly recommend that you check the legal requirements for the market you plan to sell your product in. 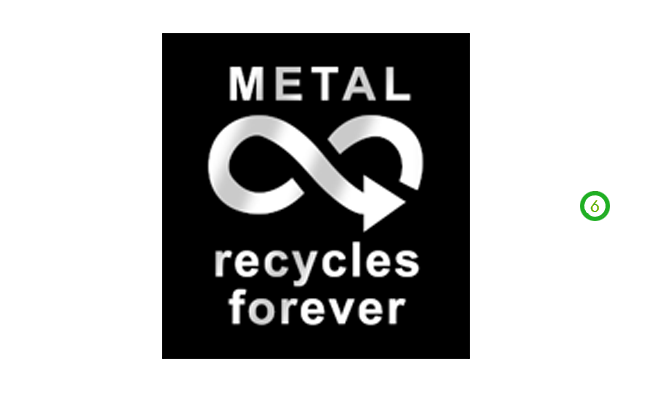 It is the brand owner's responsibility to make sure all rules and legislations with regards to symbols and the market the cans are sold in are checked an understood. The symbol for deposit in Germany is called DPG symbol. Most one-way drinks packaging sold in the German market are obliged to be registered with the Deutsche Pfandsystem GmBH. Packaging in the deposit scheme should contain the DPG symbol. 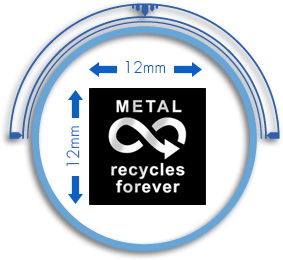 Symbol specifications below are enforced by local authorities and should be adhered to when your cans are sold in this market. The symbol for deposit in Denmark is called the Danish Deposit Mark and is a registered trademark. Drink products sold in one-way packaging to the Danish market on which deposits are payable, must be labelled with a Danish deposit mark to facilitate both the payment and refund of the applicable deposit. 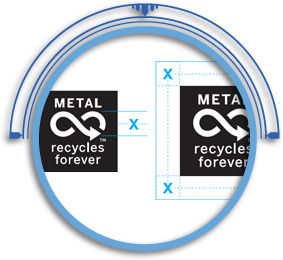 Symbol specifications below are enforced by local authorities and should be adhered to when your cans are sold in this market. In the Swedish market only cans are allowed made out of steel or aluminium. Brand owners are required to send packaging samples along with a registration form to Returpack at least 3 weeks before marketing the new product to register the product in the Swedish recycling system. The Pant 1 KR deposit symbol must be added to the packaging. 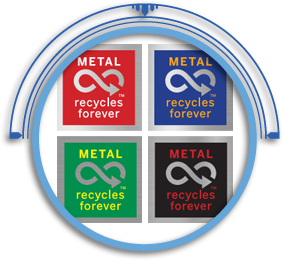 manual collection points and reverse vending machines recognise acceptable cans in order to repay the deposit to the consumer. No specific requirements must have a good contrast so it is clearly readable on the background. Symbol should be placed in the neck of the can whereby the text "Pantti-Pant" is repeated twice. The brand owner must always contact Palpa in Finland for the latest updated information and to register the design. http://eur-lex.europa.eu/LexUriServ/LexUriServ.do?uri=CELEX:31976L0211:EN:NOT Information on "Average" symbol: "e"
Note: this list should help you get started on symbols. This list is not exhaustive. 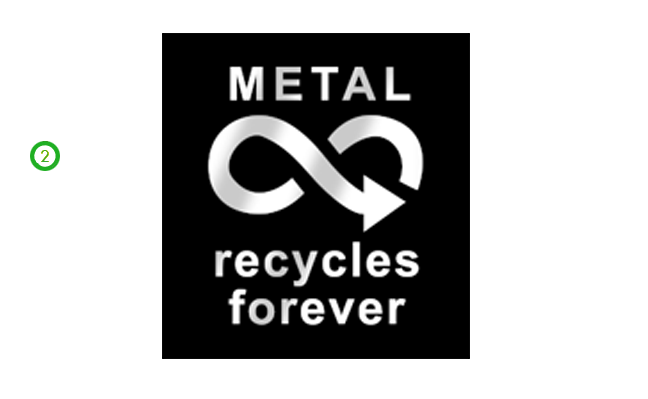 The Metal Recycles Forever Mark symbolises the unique sustainability benefits of metal. 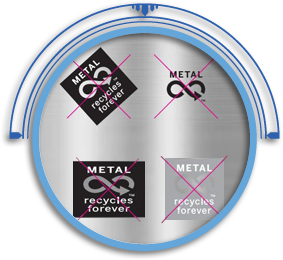 Within the design the main "Forever Icon" element communicates intuitively the endless recyclable property of metal with no loss of quality. It is important that where possible no colour is applied to the "Forever Icon" so it shows the aluminium. Use the primary colour(s) of your brand making sure there is enough contrast between the different elements of the symbol and the background colour of the design. If the primary colours of the design don’t provide enough contrast the symbol can be implemented in black & white. The Mark is a square. The minimum size of the Mark is 12 mm (height & width) to make sure it suits all language variants. 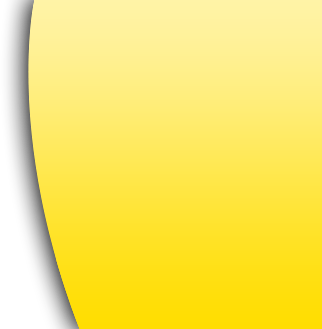 The space around the Mark (free zone) is indicated by the height of the "Forever Icon" in the Mark used on the design. The space around the Mark which is free of other design elements should ideally be 1 X, however it can be reduced to 0,5 X if space on the design is limited. The Mark must always appear in an upright position. It is not allowed to rotate the symbol or to stretch or skew it out of proportion. 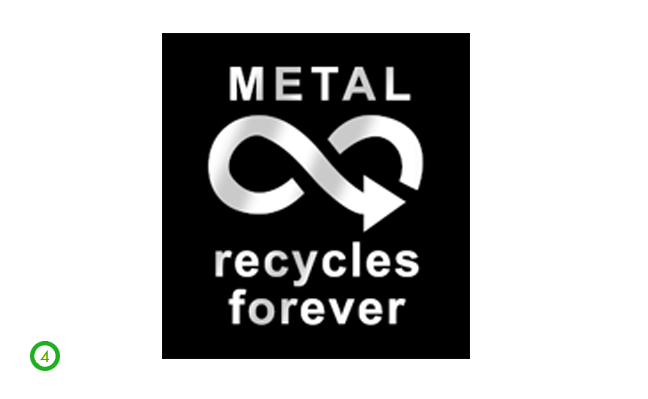 All the individual elements make up the Recycling Mark. They should never be separated. The English version of the Mark can be downloaded from the snapshot overview in this section. 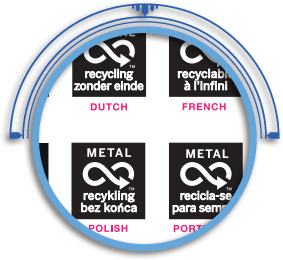 However the Mark is available in many different languages which can be downloaded directly from the Metal Packaging Europe website. If you inform our Graphics & Design department during the development of your design, it is also possible for our experts to add the Mark to your design during the development of the artwork. In most countries legislation requires you to have some symbols on your design. Some of the most used symbols are highlighted here. 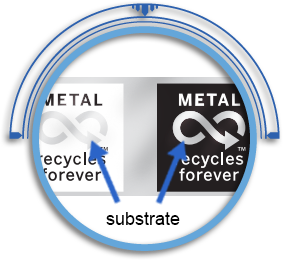 Follow these useful links to find more information on symbol requirements in various markets.